The portable dance floor is nothing more than small tiles that can be connected together to create a flat space to party, exercise, wrestle, or entertain guests. The reason these stackable and portable tiles got the name portable dance floor is because many people began using them in halls or outdoor setting to create a safe area for the wedding party and guest to be able to safely dance during the big event. Since the days these were first used, they have gone through a new resurgence in popularity and offer the user many benefits. What is a Portable Dance Floor? To fully understand what is the portable dance floor, you only need look at any outdoor wedding or beach reception. If the band is playing, the people want to dance. 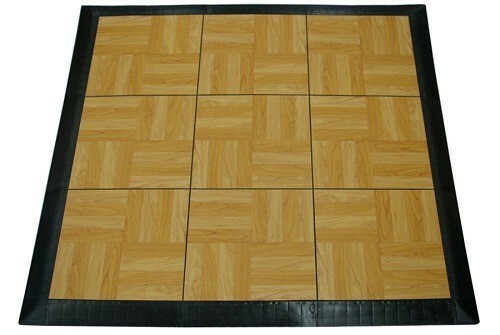 This portable flooring allows folks to create a safe and sturdy dance floor where none existed before. Even if you are setting them up inside a facility that has wall-to-wall carpeting, the tiles are a breeze to assemble, and often come backed by the manufacturer warranty against defects. Once the party is over the portable dance floor can be taken apart in minutes and stacked away. These portable dance floor tiles are designed to withstand extreme weight and will not break or buckle under the pressure. When it comes to understanding all the benefits of the portable dance floor, we have to look at all the unique situations in which they can be utilized. These tiles are made to handle folks dancing, but that doesn’t mean you can’t use them for other events like a dance recital, dance practice, or even as wrestling mats. Many people just starting their new life together can not afford an elaborate wedding reception hall, so they entertain their family and friends at home in the yard, at a local VFW or Moose Club, or at the beach. 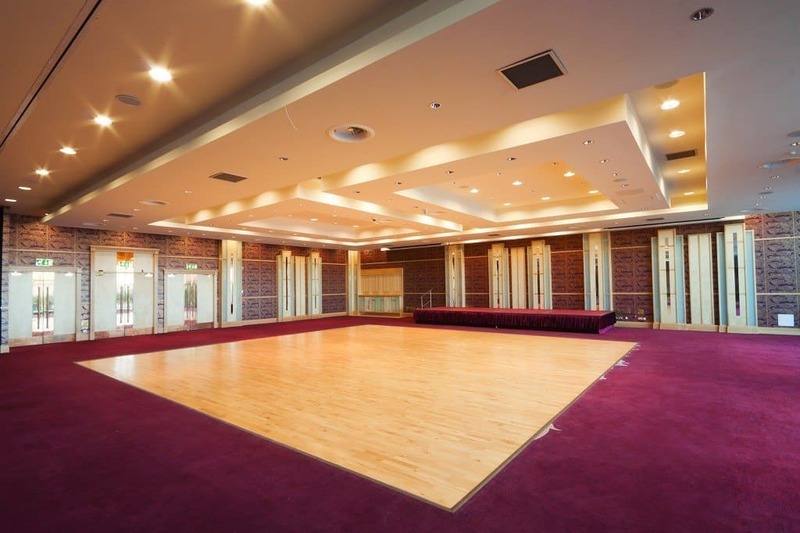 These facilities usually do not have a dance floor where guests can kick off their shoes and get down to the music. 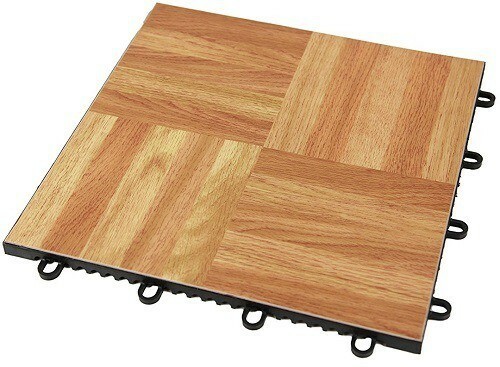 The portable dance floor tiles come stacked and ready to be assembled on any surface. There are times when the local dance school needs to take the show on the road. Perhaps they are performing a holiday show at the local nursing home or on a football field for a charity event. The portable tap dance floor can be installed anywhere an allows these kids to put on the show of their life safely. If you took a look at the reviews of wrestling mats online, you will find that they serve double-duty as dance floor tiles too. This portable flooring is the perfect surface for the wrestling team to practice away from school while still being safe and simulating the surface they will hold their matches. Whether you are entertaining guests in your yard for an event or having a party at the local reception hall, the portable dance floor is an inexpensive way to let your guests dance the night away safely. The tiles provide a smooth and sturdy platform where they won’t sip or twist an ankle like they could on the grass, sand, or uneven ground. Installing the portable dance floor could not be any easier. The dance floor usually will come in square pieces that interlock on the edges to create a seamless and flat surface. These tiles are often set up as a standalone section in the middle of a room or location, so no cutting, no measuring, simple lock them together and they are ready for use. Once they are no longer needed, the tiles come apart easily and can be stacked for safe keeping until the next time. This portable dance floor comes with 1′ x 1′ tiles that easily lock together. The edge of the outer tiles has a ramp so there will be no tripping when using the flooring. Light oak finish simulates a real hardwood dance floor. 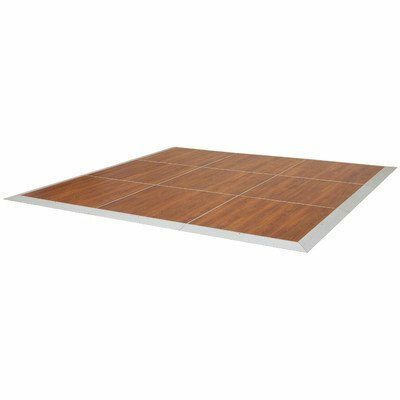 These 12″ x 12″ portable dance floor tiles allow you to create the space you need for any size event. If you need a small area to practice tap routines, you can create it! If you need a huge dance floor for a large wedding reception, there is no limit to the size you can create. 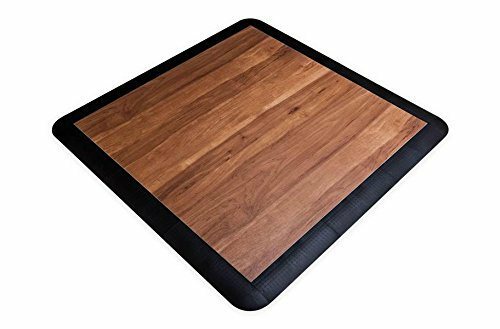 Looking to get in some dance practice at home or to put on a small performance in the yard, this is the perfect portable tap dance floor. This portable dance floor is perfect for allowing guests to kick off their shoes and dance on a flat surface safely. 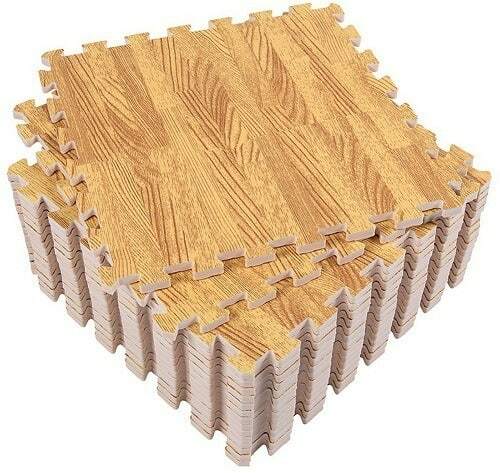 Package comes with 16 foam tiles that interlock together, ideal to protecting a hardwood floor beneath or creating a safe area to exercise, dance, or practice wrestling. 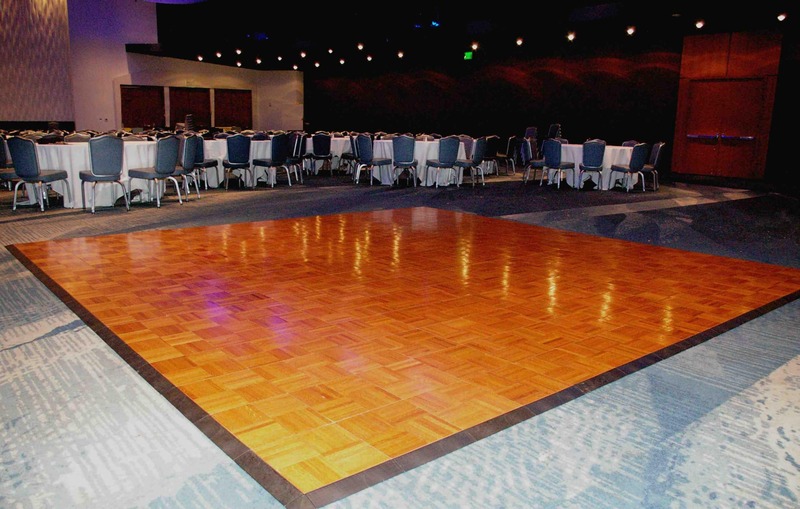 When only the best will do, this durable and professional dance floor is able to withstand the weight of a wedding party or dance recital group.